The submarine has gone through a variety of changes and alterations over twentieth century though they still vaguely resemble the first modern submarine, the USS Holland (SS-1). Certainly they are far more advanced than the old Turtle, the Revolutionary War submersible that looked more like a barrel with a propeller, rudder and screw driver attached to it. 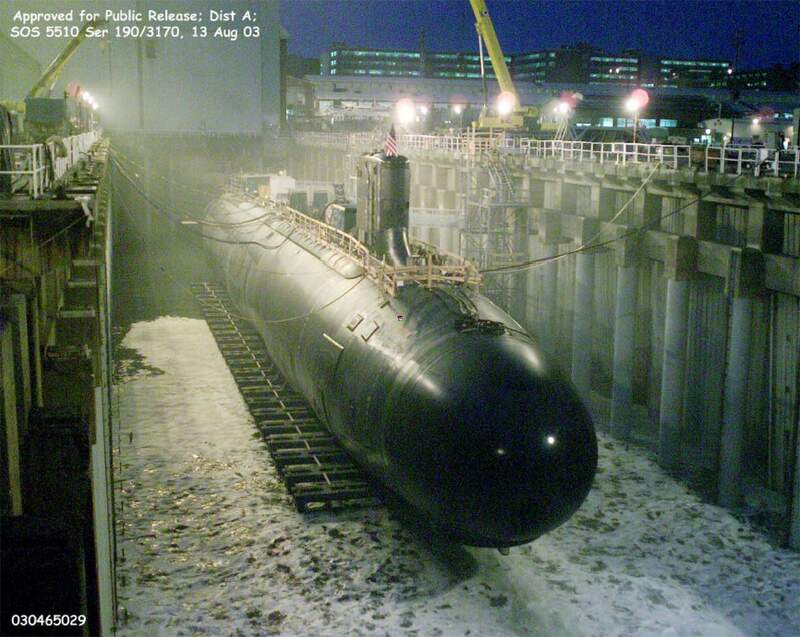 And they have become far more powerful, more dangerous than the first submarine to sink another vessel, the CSS Hunley, which ironically sunk itself moments after destroying USS Housatonic. When we are asked to sketch up a submarine, draw a basic understanding of what one looks like, most will likely put down a long body with a little tower sticking up top toward the front of the vessel. This basic shape has remained to stay in most military submarines all the way into the twenty-first century with the USS Virginia (SSN-774). 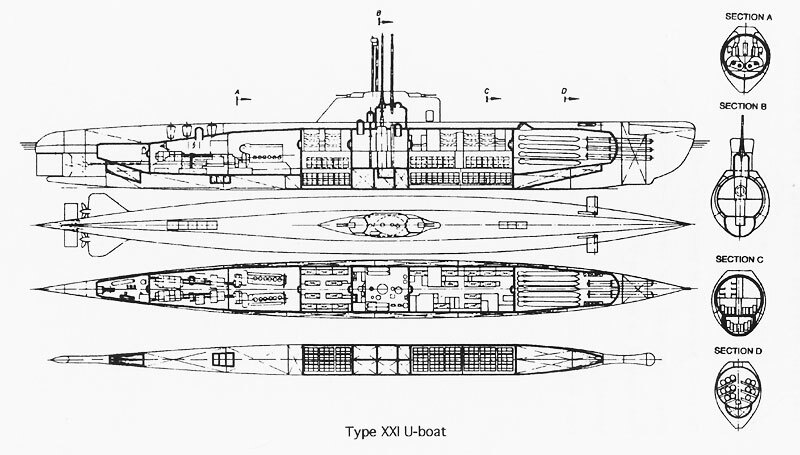 The shape of the hull has a reason behind it, just like everything else on these deep-sea vessel, when one looks at a diagram of a World War II submarine or one that happen to be out of water, they see it has more in common with a surface vessel, while a modern one seems to have more in common with a torpedo. The World War II submarine hulls were designed to travel through the water where they would spend the most time in their careers, on the surface. The drawback to this design was that they were significantly slower underwater. It runs against popular thinking to say that a submarine, any submarine would spend all that much time on the surface; there were several reasons for this, the primary being that the batteries.In the case of the Balao class submarine, like the USS Ling (SS-297), a museum vessel in Hackensack, New Jersey, all electricity was generated from for electrical generators, each attached to a diesel engine. 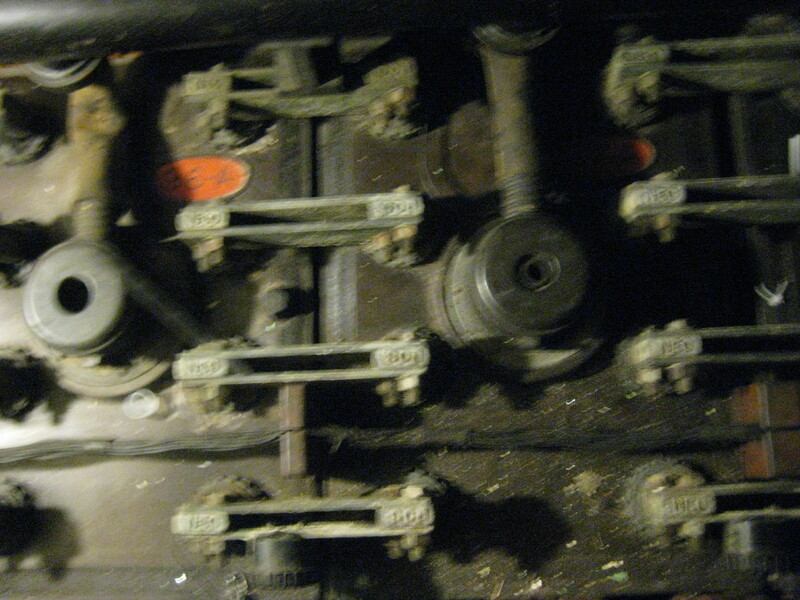 While running the diesel engines, the vessel had to be on the surface to draw in fresh air through main induction, the main intakes of the vessel and any open hatches. The electricity created would be utilized in several ways; some of it would go to the four electric motors arranged two to a drive shaft and used for propulsion, as well as other systems such as lights, radars, air conditioning, etc. The electrical batteries for storage, used up when the vessel was submerged. In the case of the Balao class, there are two batteries each with 126 cells. These batteries were large, a little over five feet tall and the cells weigh about five hundred pounds each. They were filled with a chemical, part water and had copper strips extended into them. As the batteries were charged, they created a byproduct of hydrogen which had to be vented overboard; not doing so would create a serious explosion risk, one which resulted losses of submarines like the USS Cochino (SS-345). Meanwhile, the batteries needed the water element of the chemical replenished. Fresh, salt free water was drawn aboard the vessel, boiled in the distillers in the back of forward engine room, purified, and pumped into storage tanks around the batteries. Because only a certain amount of water could be distilled at one time and because, especially during wartime, things could change very quickly, water was conserved and rationed. This meant that submariner did not shower in fresh water, if at all while at sea. It was also critical that the water be absolutely free of salt. Any salt in the batteries would create chlorine which would filter up into the vessel poisoning the crew. 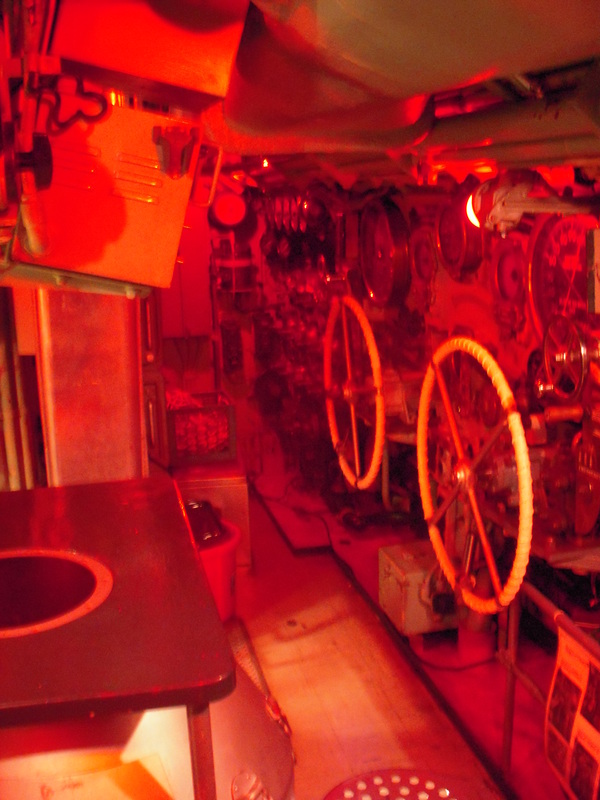 Forty-eight hours was the limit one could stay underwater in one of these WWII submarines, at least these American submarines. If, for whatever reason, the vessel’s captain needed to get somewhere fast underwater, they would be out of power in six hours driving those motors full power. Toward the end of the war, the German developed more powerful, more advanced submarines, the Type XXI being the most useful. This boat nicked-named the Elektro-boote could say under water on batteries for about a week. Reflecting this new capability was the hull design. Much sleeker, more refined than the American and British submarines of that era; even the German’s own earlier submarines did not have the sleek lines like the Type XXI. When the war ended, the United States took a couple of those submarines home as war booty and began to learn from them. Submarine hull design began to change; existing boats were modified under the GUPPY program, the acronym for Greater Underwater Propulsion and Power with a “Y” thrown in for pronunciation. But by the 1950’s, a new revolution in submarines were underway. Many saw hull design of the day to be a combination of other ideas; nothing really new and certainly nothing that took advantage of the seemingly unlimited supply of electricity that nuclear power offered. 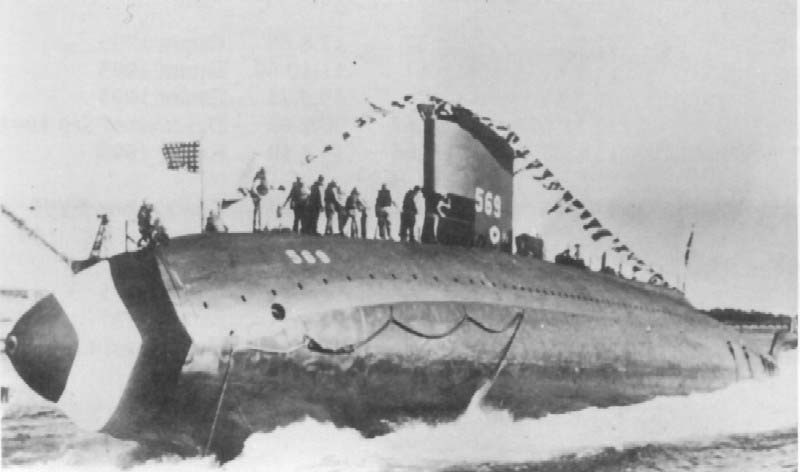 Even the first of our nuclear submarine, USS Nautilus (SSN-575) had a very convention hull, conventional for that time, reminiscent of the Type XXI and the GUPPY altered WWII submarines. A new teardrop shape hull was devised and would be tested out on the diesel-electrically powered USS Albacore. The next vessels that followed, the Skipjack class and the George Washington ballistic missiles submarines would take advantage of this design. In the years to follow, this would evolve into the longer shape of the Thresher/Permit class and the way to the new Virginia class nuclear submarines. These sleek underwater vessels are, interestingly enough, significantly slower on the surface than under the water, but this is fine as these rarely ever surface and do not have to surface while underway under nuclear power. These vessels are true submarines; they are most at home underneath the waves of the ocean, on the hunt for anything they are ordered to destroy, spying, patrolling, doing what submarines are known for in the Silent Service. Entertainer. Teacher. Tour guide. The same? Completely different? Three in one, the Sacred Mystery of the Museum. I was told once by a director of tour guides in another museum that a tour guide at least the ones in his museum were seen more as entertainers. I considered that fairly degrading. They were not like teachers with their set of objectives and their curriculum. The tour guide was to paint a picture as they guided the group through the exhibits, creating in their minds a clear picture of the past, stirring their interests and inspiring their imagination. Now, as I sit down and think about what he said, I have to ask myself if the tour guide is not a combination of teacher and entertainer, more teacher than the later. For both have objectives, conveying the message of the art, the subject to their audience or class, inspiring some memory creating a touch of change in their minds and hearts. Both have a plan of some sort, be it a fifty page long curriculum or a fifty page long script. Perhaps, I simply found it degrading to refer to someone who had the mission to convey the past of a courageous group of soldiers, many who gave their lives for family, friends, beliefs and country, as an entertainer, someone you have at parties and other functions. 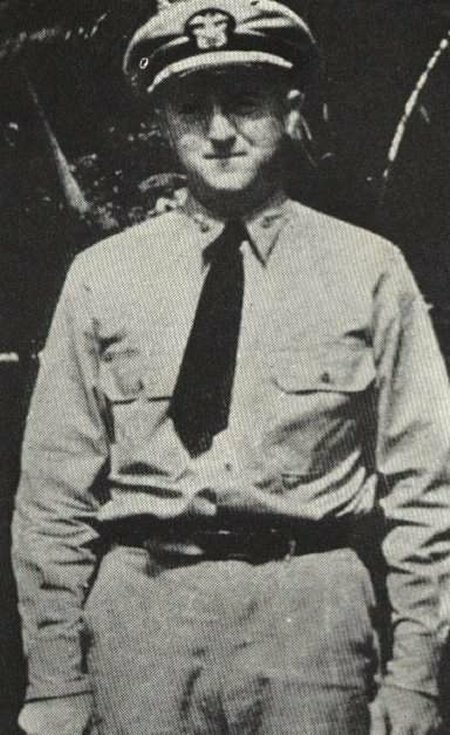 Talking about Howard C. Gilmore’s (see picture) sacrifice atop of USS Growler (SS-215) where he uttered the famous phrase “Take her down,” ending his own life to save his crew, is not something you throw around like it’s a toy, a party favor or such. Depth charging stories, the sheer terror, the memories and stories of war can be outright depressing and deserve a certain place of reverence. To view our stories are knowledge as entertaining, to work as entertainers, would be on par with rigging a Crucifix with fire and turning the story of Jesus Christ into a happy musical in every single Catholic Church all around the world. War is not entertaining, it is a tragedy. Common sense, mercy, kindness are thrown aside, sometimes due to incompetence on the part of statesmen, sometimes due to terribly illogical dreams such as those of Hitler, Mussolini, and Emperor Hirohito and his generals. War is a tragedy and those who gave their lives for their country do not deserve to be treated like silly, happy party favors, but as the heroes they died as. They deserve silence, reverence and, above all, a place in our memory. A good tour guide, however, is, whether I like it or not, both. They are a teacher and will always be teachers; they will research their topics and dig some more, they will organize and constantly redo their tours in their minds until they feel they have conveyed the story they want to tell. We do it not to please people, but for those who have fallen so that we may enjoy our liberty. But, we will entertain, we will inspire, we will do so because of our passion. Without even knowing it, as we concentrate on our more scientific, more technical approach to our tours, inspire and amaze our guests, most of them, entertain them without even trying. We work like teachers, but we entertain without even trying!